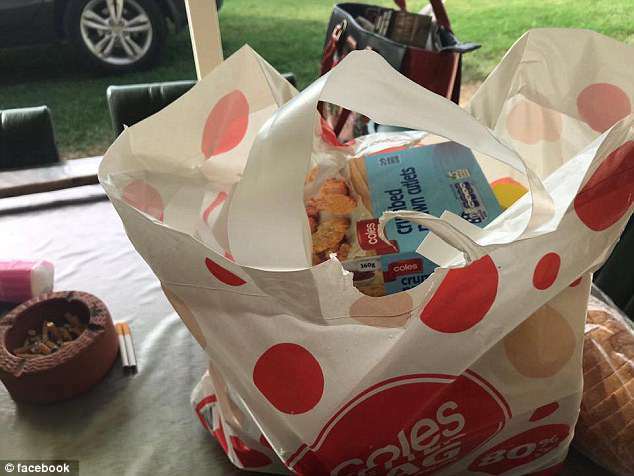 Coles and Woolworths have come under fire from angry customers who claim their new reusable bags break and tear after one use. 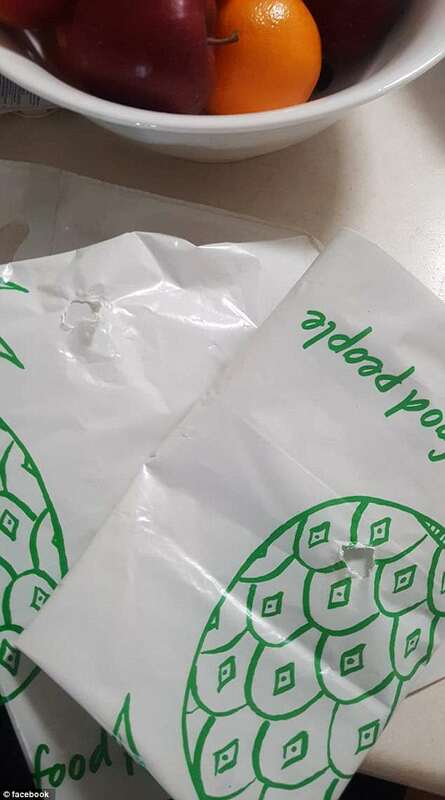 Customers have continued to slam the supermarket chains after they banned single use plastic bags last week and started forcing shoppers to pay for eco-friendly ones. 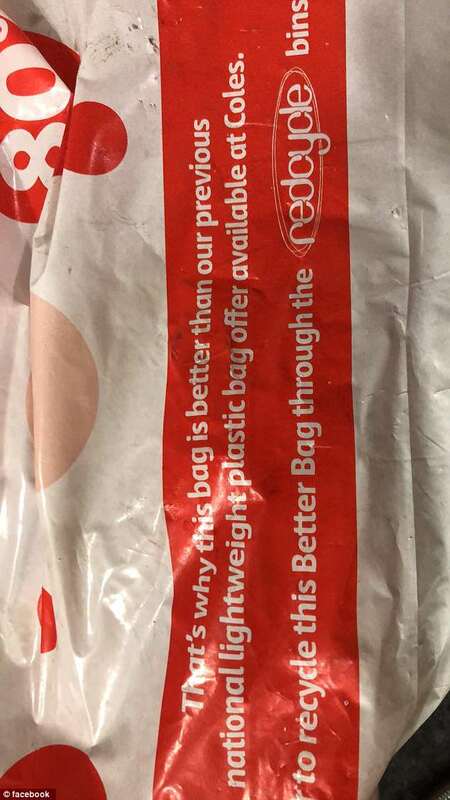 The bags, which cost 15c and are 80 per cent recyclable are causing the companies an extra headache – with customers complaining about how quickly they break. 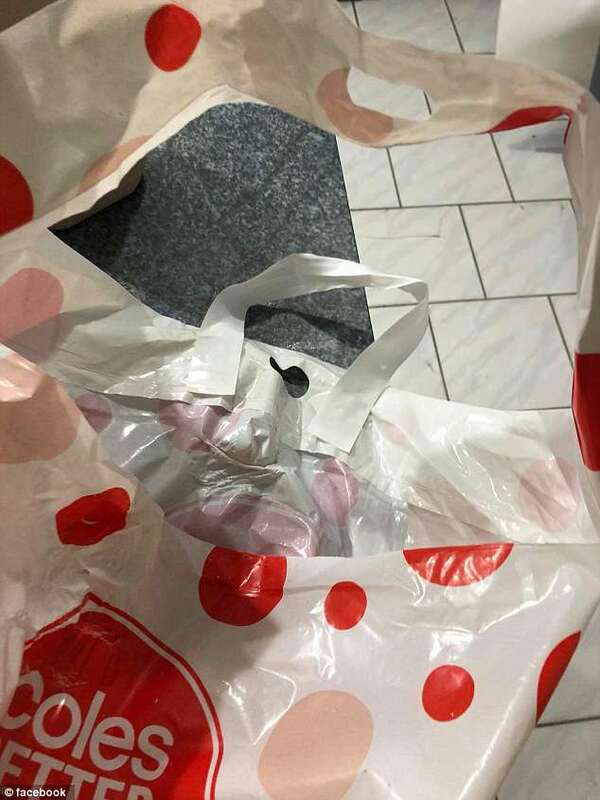 Robyn Hoyer shared a photo of his broken Coles bag, claiming both handles snapped on their first use. ‘Bought my first re-usable bag today. So pleased I can help and environment and your Profit Margin. I used the serviced check out. The lady packed my bag for me,’ he wrote on Facebook. Steven Quick reported the same issue, asking if he would get his money back. While Steven found the quality of his Woolworths bag more durable, others haven’t been so lucky. ‘So much for the reusable plastic bags,’ Newcastle mother Sharon Linsley wrote. ‘I only went to Woolworths yesterday at Glendale. One use and they have holes already. So these will become single use bags. ‘So much for the environment. She also claimed that she had to ask the checkout staff not to fill the bags so much after the handles broke on another bag she had purchased. ‘I am really disappointed with the bags,’ she added. South Australian woman Trace Stevens claimed to have had a similar experience. ‘The new plastic bags are useless as the handles break and your left with struggling to grab the bag before it hits the ground as groceries fall out,’ she wrote. Another customer, Gabby Newman, claimed to have had the same issue after her bags were overfilled. 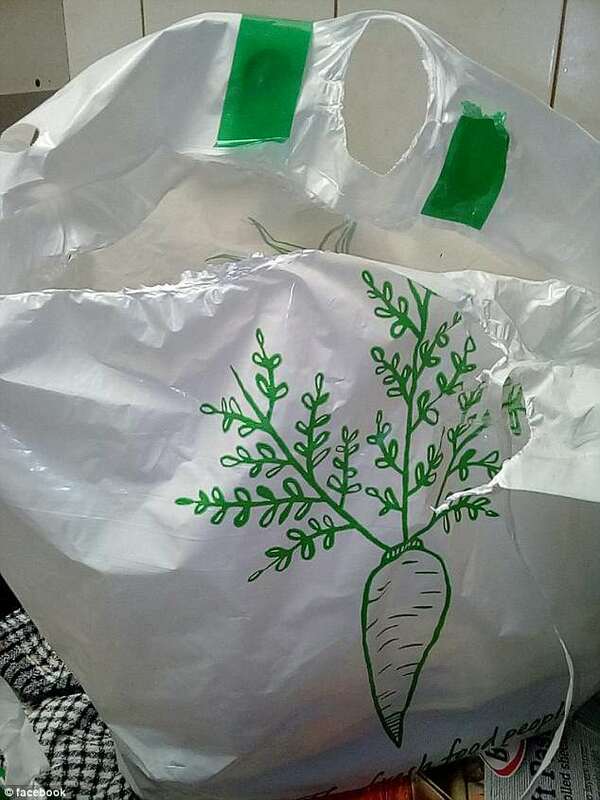 ‘Whilst I commend you on replacing single use (multi use in my house) plastic bags I would like to ask you how long the reusable 15c bags take to break down,’ she wrote. ‘I cannot carry them as full as your operators fill them and I have a bag that I paid for… which after 1 use is now torn. This means your operators will refuse to use it. 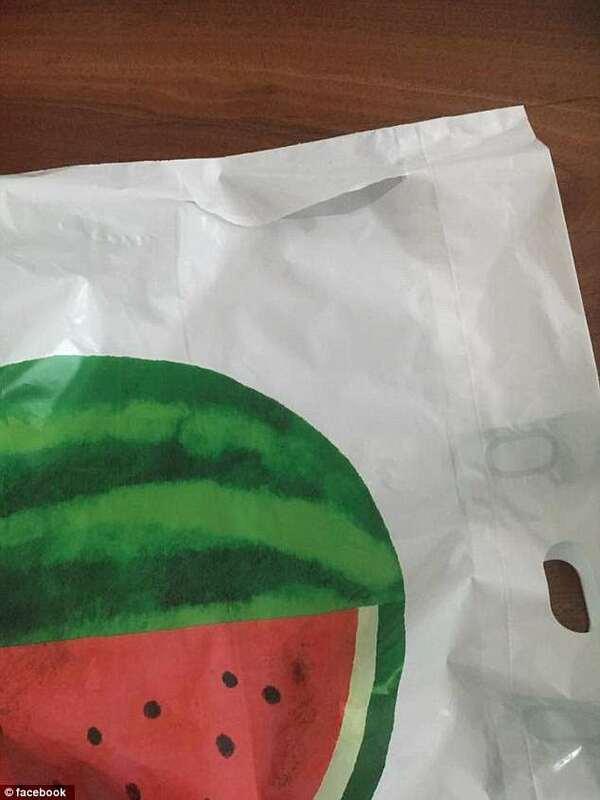 Woolworths responded to each customer saying: ‘We are disappointed to hear of your experience with our plastic bags and packing. Your feedback has been passed through to the relevant teams in our Support Office for consideration and to ensure that your bags are not overfilled in the future. A spokesperson for Coles told Daily Mail Australia they were looking into the issue.